Engineered to provide you with only the highest quality performance and handling, this responsive coupe draws on its powerful predecessors to offer an exhilarating driving experience unlike any other. The most powerful model in the F-TYPE line, the SVR more than exceeds expectations. The powerful appearance of the 2017 F-TYPE SVR is matched only by the elegance of its interior. With the driver-oriented cockpit-style layout, drivers have no trouble accessing the coupe’s controls and instruments. 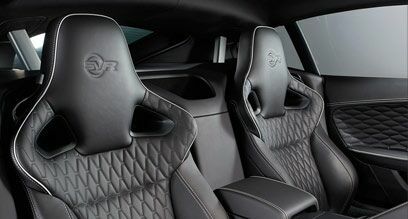 Perfectly blending ergonomics with a sporty style, the driver is guaranteed a comfortable drive thanks to its quilted performance seats and ultra-modern finishes. 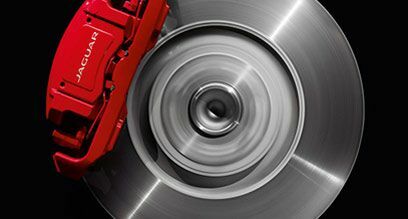 Designed to provide high-performance braking to match the model’s powerful drive, the responsive braking system ensures driver safety at the ready. 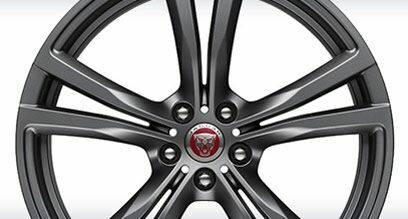 The SVR comes equipped with large 15-inch front and 14.8-inch rear disc-brake rotors with eye-catching red calipers. Owners can also upgrade to the optional Carbon Ceramic Matrix Braking system, which is the highest performance braking system ever to be fitted to a Jaguar road car. This system features 6-piston front and 4-piston rear brake calipers. The lightweight construction of the Jaguar F-TYPE SVR stretches from its aluminum body structure all the way to its lightweight 20-inch forged alloy wheels. These unique wheels offer an amazing 30-pound weight reduction from the standard model’s wheel. Without being weighed down by heavy materials, the F-TYPE SVR is able to produce superior performance, optimal weight distribution, agile handling and excellent stability. The 2017 Jaguar F-TYPE SVR is the type of vehicle for drivers looking for the whole package. The F-TYPE SVR offers superior handling, comfort, grip and control all wrapped in one sleek, stylish model. It’s powerful 5.0-liter, V8 engine can take you from 0-60 in just 3.5 seconds and reach an amazing top speed of 200 mph. Between its powerful engine and its aerodynamic exterior styling, drivers can be sure that they’re in for a drive that pins you to the back of your seat.